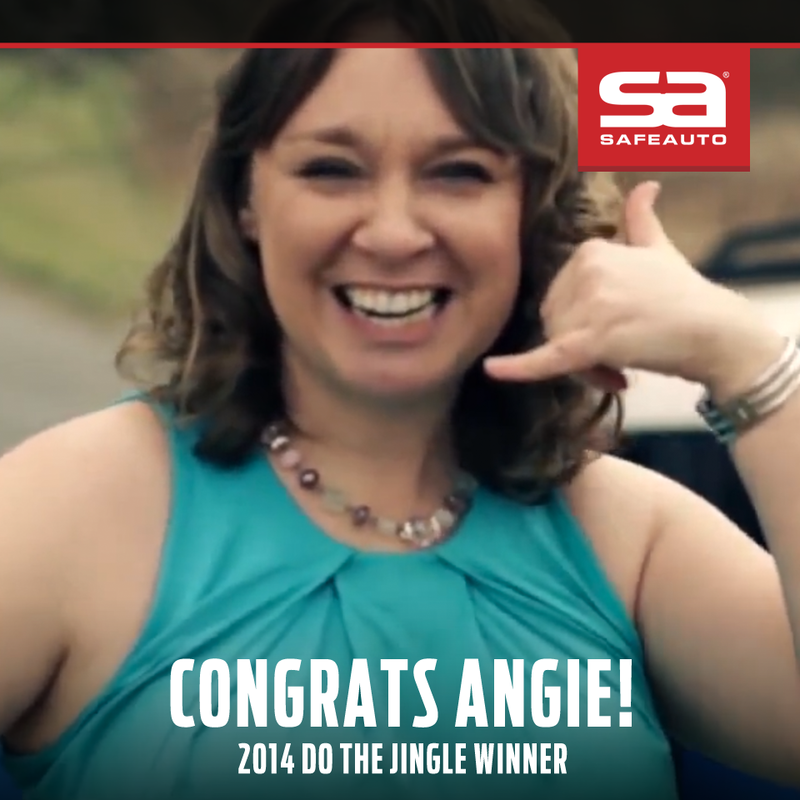 After tallying the final votes in the company’s 2014 “Do The Jingle” contest, SafeAuto Insurance announced the winners of its 6th annual jingle competition. The grand-prize winner is Angie Gillespie of Independence, KY, with 403,560 votes for her jingle—an all-time record for a submission in the Do The Jingle contest. Second through fifth place winners, respectively, are Brittany and The Brothers of Cincinnati, OH; Beth Burden of Lexington, KY; Nicole Lyons and Marble Park of Columbus, OH; and Michael Aaron Jones of Erie, PA. This year’s contest had 145 submissions and received a total of 2.8 million votes from January 13 through February 28. The winner of the grand prize is determined through public vote and includes a $5,000 cash prize and a chance to appear in a future SafeAuto commercial. Participants placing second through fifth receive a variable cash prize, and those placing sixth through sixteenth receive a giftcard and a SafeAuto T-shirt. The Do The Jingle competition challenges musicians to create their own renditions of the SafeAuto jingle, which are then opened up to a public vote to determine the winners. All submissions and contest details can be found at http://www.dothejingle.safeauto.com.